Herpes simplex eye infections are a relatively common and potentially serious type of eye infection. They're caused by a virus called herpes simplex – usually the herpes simplex virus type 1 (HSV-1), which also causes cold sores. It's important to get medical help if you think you may have the infection, as your vision could be at risk if it's not treated. Usually only one eye is affected, although sometimes both can be. Get medical help as soon as possible if you have the symptoms above. They could be caused by a herpes simplex infection or another eye condition that requires rapid treatment. If it's not treated, there's a chance your vision could be affected. If you wear contact lenses, take them out and don't use them again until you've fully recovered. Most herpes simplex eye infections get better in a week or two, although they can last longer. Treatment is usually needed to reduce the risk of complications. Make sure you follow the advice you're given and take any prescribed treatment as directed. Herpes simplex eye infections usually occur when a previous infection with the virus reactivates and spreads to the eye. Nearly everyone is exposed to the herpes simplex virus during childhood. Most people won't notice this because there are often no symptoms. But afterwards the virus will remain inactive in the body. 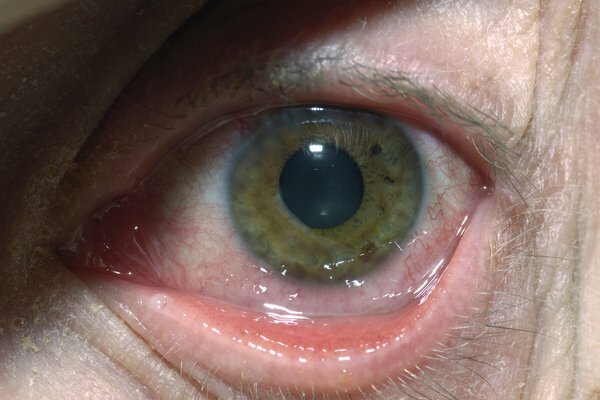 Herpes simplex eye infections don't usually cause further problems if they're treated promptly, but about one in five cases are more serious and carry a higher risk of complications. It's also likely the infection will return at some point. Most people will experience more than one infection, with about one in five having a recurrence within a year.